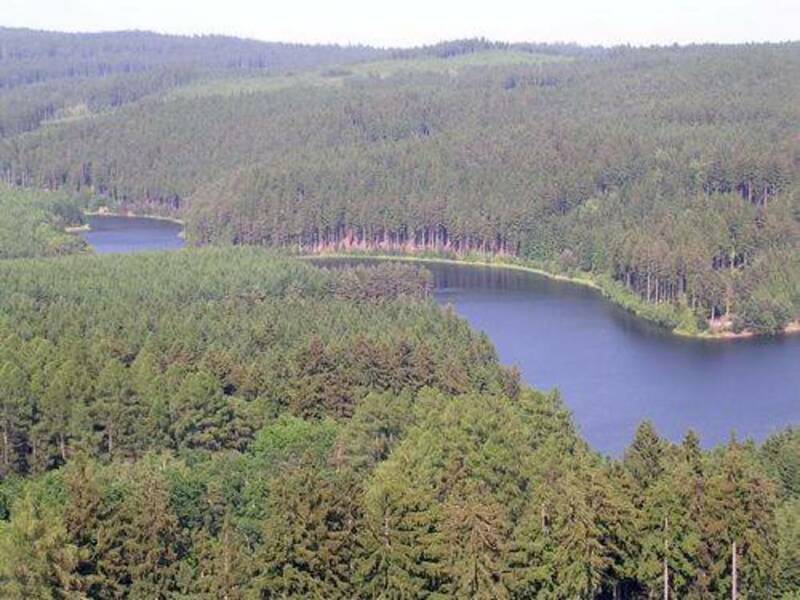 This bike tour in Czech Republic begins in the vicinity of Sumava National Park, located in the south of Bohemia and follows the Vltava River through beautiful, scenic landscapes to Prague, the historic capital of the Czech Republic. 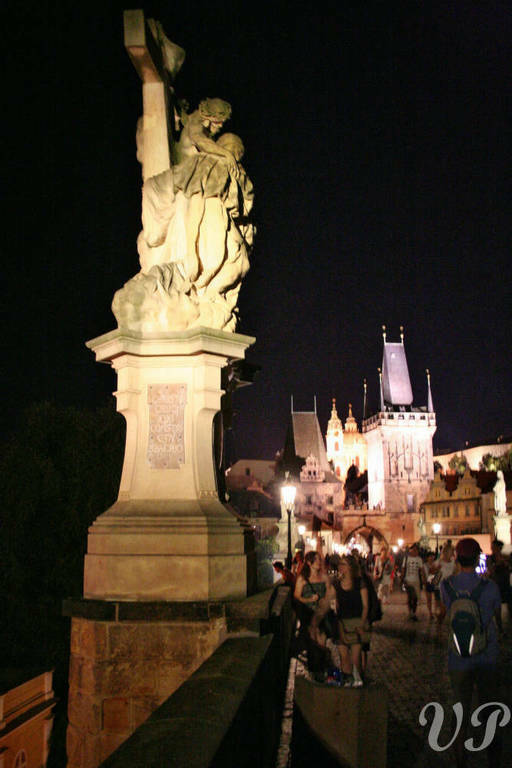 Taking a trip following the most important Bohemian river is an excellent choice, because it naturally takes you to the places that used to be the centers of cultural life in the country during the Middle Ages. 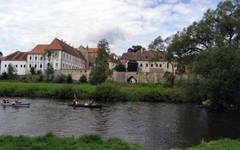 This bike tour located in Czech Republic trip starts in Cesky Krumlov, a UNESCO heritage site. Not only is it a fascinating medieval centre, but the cultural life and history of this beautiful well-preserved town is truly unique. Another world-famous stop on your trip will be Ceske Budejovice, which gave its name to Budweiser beer. Other attractions to be visited are Pisek, a town with a remarkable historical centre and the oldest stone bridge in the Czech Republic. The royal castle of Zvíkov stands high above the confluence of the rivers Vltava and Otava. Close to Pribram, a town with a long history of silver mining and more recently of uranium mining during the twentieth century stands Saint Mountain with its pilgrimage Church of the Virgin Mary dating from the 16th century. This bike tour in Czech Republic ends in Karlstejn with its spectacularly-located fourteenth century Gothic castle. You will then be transferred to Prague. The route follows small country roads with virtually no traffic and off-road biking trails with firm surfaces. 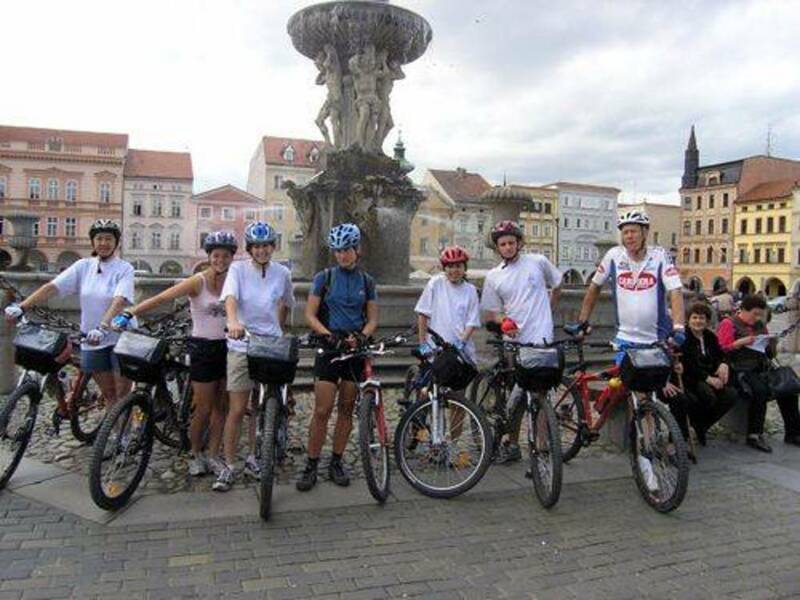 Description of the day: Guided Group tours start on the scheduled day usually at 9 a.m. Non-scheduled group tours can start upon the clients’ request on any day from the beginning of April to the end of October – this is valid for all bicycle tours in Europe organized by this travel agency. Pick-up from Prague airport or from hotel reception (for earlier arrivals). Welcome briefing, where bikes and all information materials are distributed. Transfer to Cesky Krumlov (170 km = 110 miles), the starting point of this bike tour in Czech Republic. Cesky Krumlov is a medieval town registered on the UNESCO World Heritage List. After adjusting bicycles and a test ride you will have free time to see the world-renowned medieval and Renaissance town of Cesky Krumlov, with its famous castle gardens and many other notable sites. Description of the day: After a morning tour of Cesky Krumlov Castle we take the route along the scenic valley of the Vltava River. The first site to visit on the way is the monastery Zlata Koruna (the Golden Crown). Then, we will ride on to Ceske Budejovice (Budweis in German). 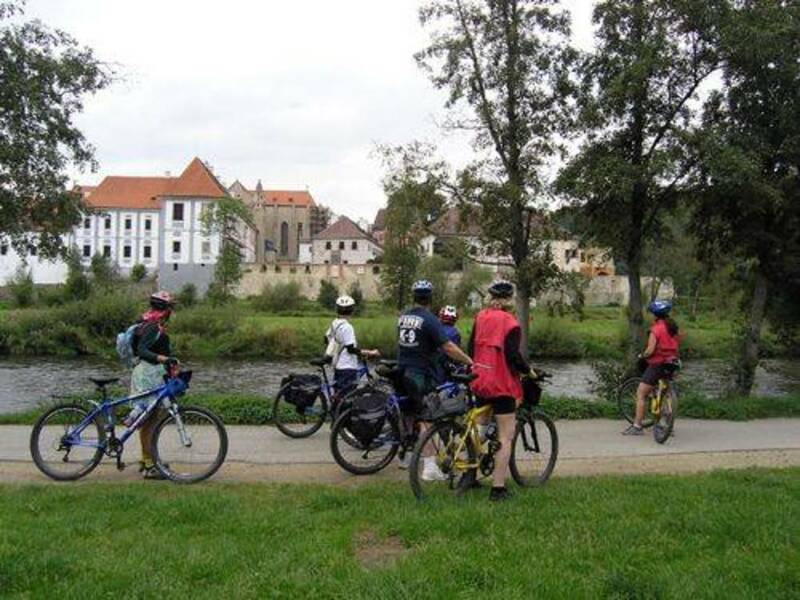 After lunch with Budweiser beer we complete a bike tour in Czech Republic’s picturesque city Ceske Budejovice and continue to the day’s objective - Hluboka nad Vltavou. Hluboka Chateau is well worth visiting, and you can also take a pleasant stroll in the elegant park when you arrive in Hluboka or on the following day. 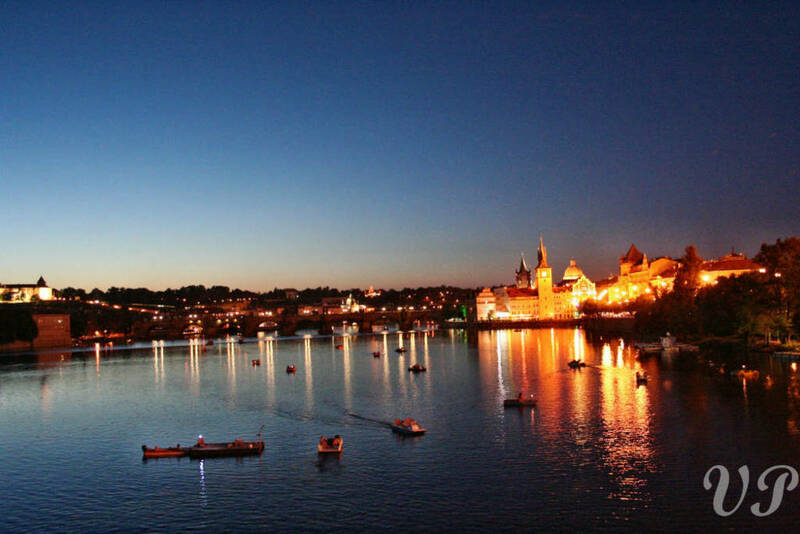 Description of the day: We will see a different aspect of the Vltava for this part of the trip. 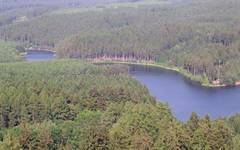 There is a complex of four dams and therefore the Vltava here forms four huge lakes. One of the dams is 91 m high, which makes it the largest dam in the Czech Republic. 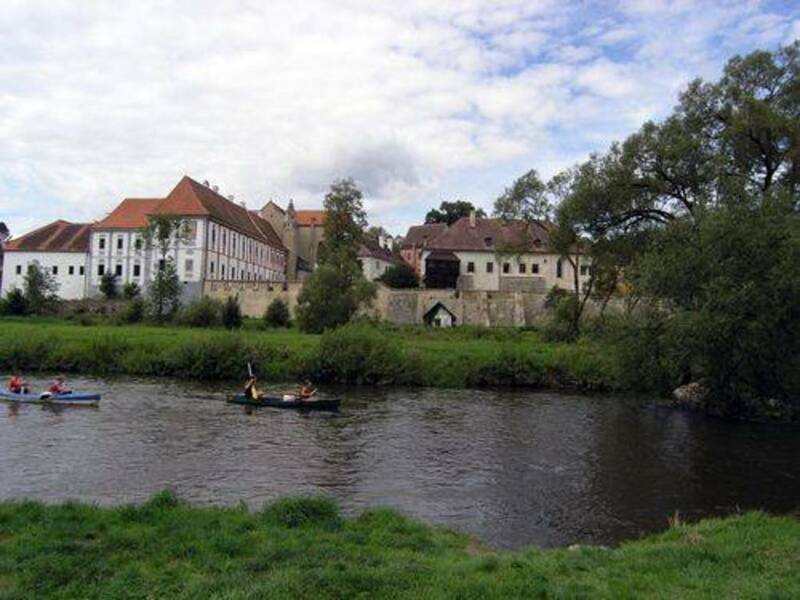 We will pass through the town of Tyn and ride on to Pisek, a picturesque town on the Otava River. The main attraction of Pisek is a 13th century stone bridge, the oldest in the country. Description of the day: This bike tour in Czech Republic will take us through a beautiful landscape with many picturesque villages to a very romantic location - Zvikov. 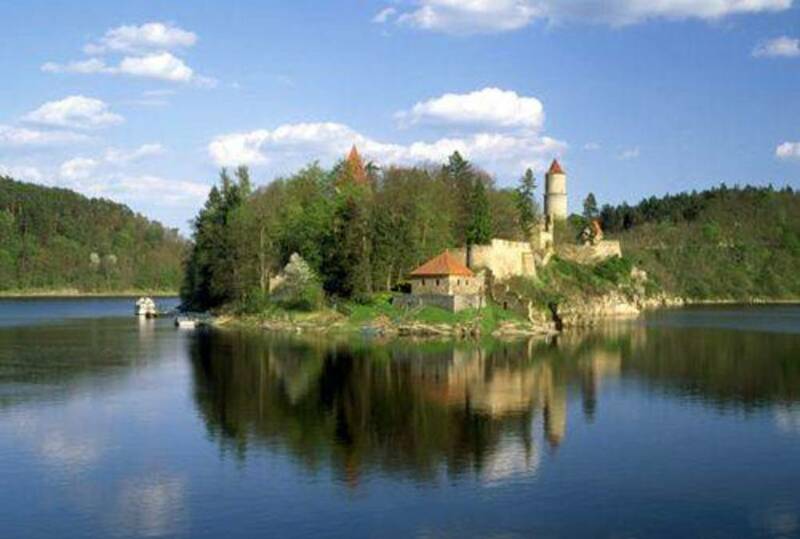 The castle is located at the confluence of the Vltava and Otava Rivers and it towers above the river on a rocky crag. Description of the day: You will continue the ride through this picturesque region and come first to Orlik Castle, where you can take a tour of the castle to see its splendidly decorated rooms. The second remarkable thing to see is the bridge at Zdakov, which was at the time of its building the world’s longest single-span bridge. At the end of the day’s ride, you will arrive in Pribram. Pribram has been a mining centre since the Middle Ages. However, the more recent history of the town is rather chilling. Pribram uranium mines were the place where many political prisoners were forced to work during the Communist regime. There is a noteworthy museum of mining. Another site definitely worth visiting is a pilgrimage church with a monastery, Svata Hora (Saint Mountain). Pribram also offers a welcoming place to relax - a swimming pool with an aqua park. Description of the day: After visiting of the pilgrimage Church of Virgin Mary on Saint Mountain we ride along the Sierra trail through the Brdy Forests and, after a long downhill ride, we reach Karlstejn village. The challenging point of this bike tour in Czech Republic is Stozec in the middle of Brdy forests. This area is very popular with cyclists from Prague and from elsewhere, and gives opportunities for off-road sections, uphills and downhills, relatively close to Prague. The highpoint of Stozec is almost 600 m above sea level but the ride to the top is quite steep. Description of the day: The last section of this bike tour in Czech Republic is a sweet reward which you surely deserve after being cycling for six days. 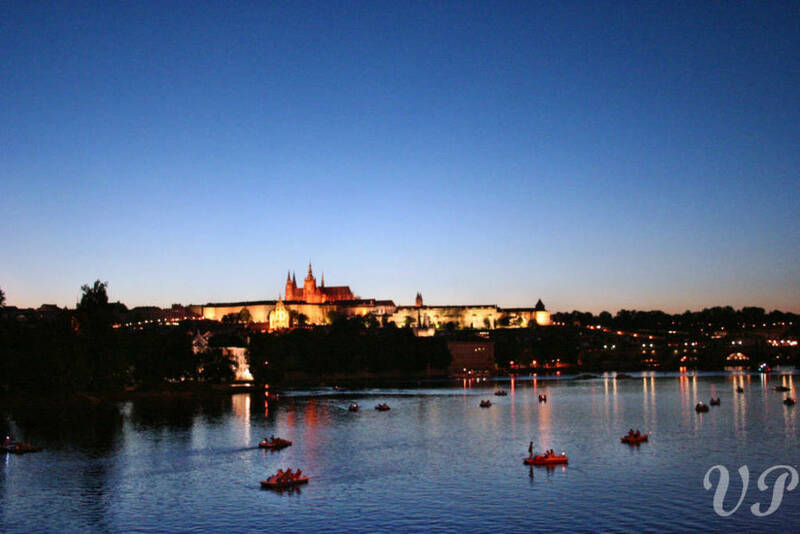 The route is very easy as it leads along both banks of the Berounka River and later along the Vltava river bank. You can easily reach your Prague hotel by bicycle. 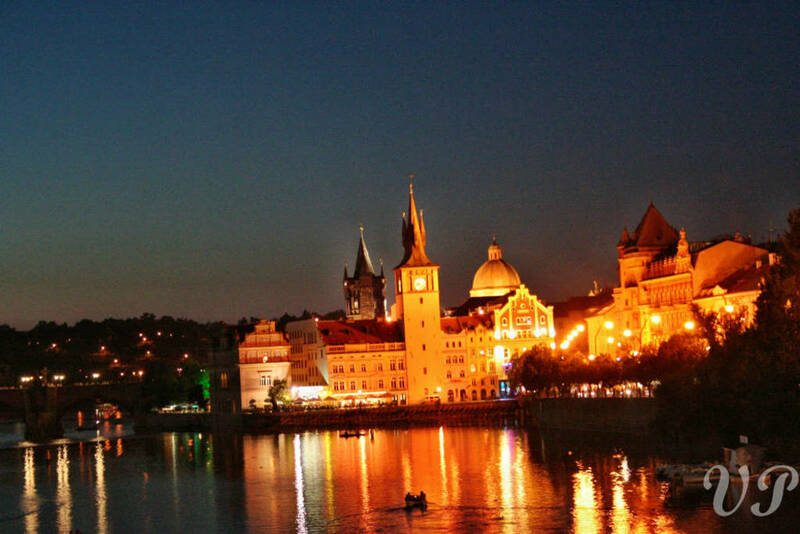 Prague is surely one of the most beautiful and romantic cities in Europe. There are innumerable cultural events, cafés, pubs and restaurants and a vivid nightlife waiting for you! This is the perfect end of a splendid holiday! Description of the day: Breakfast, transfer to the Prague airport to catch your plane, unless you decide to prolong your bike tour in Czech Republic.